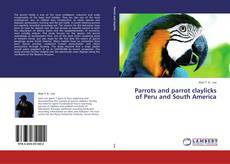 The parrot family is one of the most intelligent, colourful and easily recognisable of the large bird families. They are also one of the most endangered, due to habitat loss; introduction of exotic species and diseases; persecution; hunting and the pet trade. In South America parrots are regularly recorded consuming soil. The reasons for this behaviour have been an issue for debate over the last decade as benefits extend to both the adsorption of dietary toxins and the supplementation of nutrients, most notably sodium. 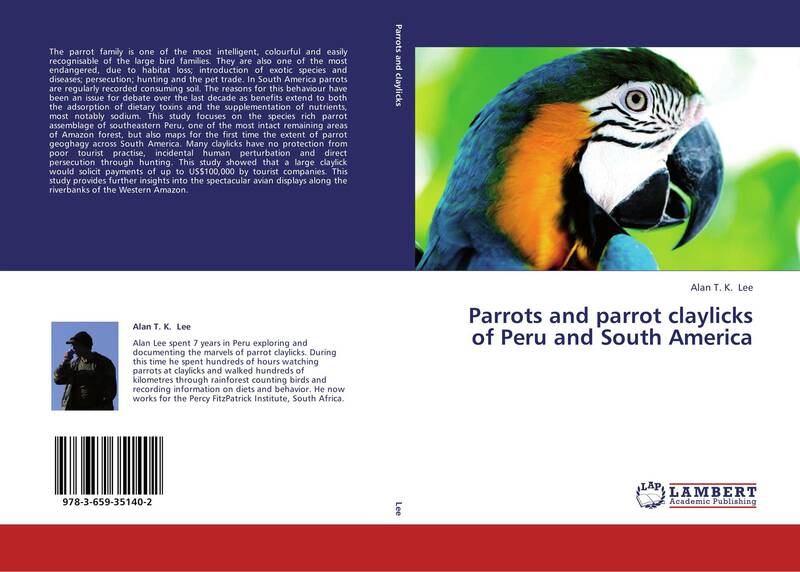 This study focuses on the species rich parrot assemblage of southeastern Peru, one of the most intact remaining areas of Amazon forest, but also maps for the first time the extent of parrot geoghagy across South America. Many claylicks have no protection from poor tourist practise, incidental human perturbation and direct persecution through hunting. This study showed that a large claylick would solicit payments of up to US$100,000 by tourist companies. This study provides further insights into the spectacular avian displays along the riverbanks of the Western Amazon.